Seattle Gay News is very pleased to present the Andy Bey Quartet at Dimitriou's Jazz Alley, June 20-21. Bey, a Grammy-nominated pianist-vocalist and out musician, will perform back to back nights at the jazz club with band members Paul Meyers (guitar), Kiyoshi Kitagawa (bass) and Vito Lesczak (drums). Set times for both nights is 7:30pm. 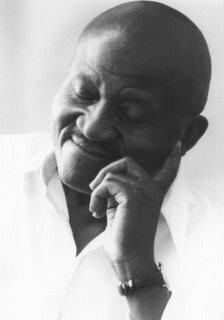 We're very honored at Seattle Gay News to support Andy Bey, one of jazz's finest vocalists who has graced the stage with Sarah Vaughan, Dinah Washington and Lena Horne, to name a few. In 2005, Bey shared highlights from his career and his openness to the gay community with our readership. SGN A & E Writer Lorelei Quenzer's preview for the Andy Bey Quartet aopears in this week's issue of the Seattle Gay News.